HAPPFACTORY x Kaiju One invasion coming soon! Well, at least we assume as photos have been shown off their latest soft vinyl craziness coming out from Kaiju One! 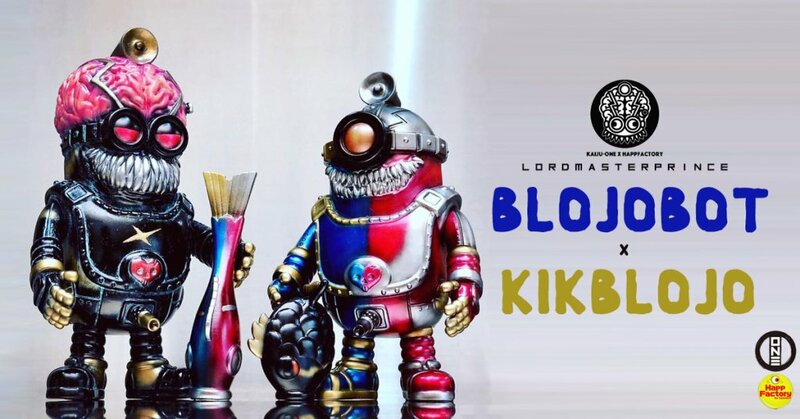 A totally different concept from Kaiju One as they partner up with HAPPFACTORY to present to you “BLOJOBOT – KIKBLOJO ” and customiszer LORDMASTERPRINCE is one of the first to get their hands on BLOJOBOT – KIKBLOJO and add some flare to BLOJOBOT – KIKBLOJO. Minions move outta the ways and under 18’s look away before its too late, HA. BLOJOBOT – KIKBLOJO by LORDMASTERPRINCE x HAPPFACTORY x Kaiju One stands around 4-5″ when ready to be fully released. Well, that’s if the fishes stop giving LOJOBOT – KIKBLOJO a good time! Dam our eyes are forever corrupted. No news on the release date for LOJOBOT – KIKBLOJO but stay tuned and we will bring you further updates.